I like the style of Tuesday Tees. Let me tell you why. First I like the name. I don’t know if there’s a Twitter phenomenon with hash tag TuesdayTees, but if there is Tuesday Tees is smart to capitalize by naming their company after it. If there isn’t a thing on Twitter, then there will be, because this funny shirt outfit has some terrific tees, which I’ll get into later. Next, let’s talk about the fact that they have a guy on staff over there in Florida, Kirk Downing, who has the job title of Prime Minister of Awesomeness. That’s cool. How can you not immediately reply to an email from the PMA? Next, TT has the tag line “word to your wardrobe.” That, my friends, is how you get people to love your brand. I wonder if the Prime Minister of Awesome made that up, because it’s awesome. Finally, before I show you my favorite offerings from these folks, I want to talk about the fact that the designs are completely original, they print on American Apparel, and they charge actual shipping. There’s no flat rate marked up shipping and handling fee where they pocket a couple of bucks on every order. That’s cool. God I love that bee. Eyes all loose and sunken in. Mouth all jacked. Antenae askew. That’s best representation of the flying dead I’ve ever seen. And let’s not forget the wordplay. Excellent. Another marvelous wordplay. You have solar panel sucking up the sun’s rays and powering lots of devices and stuff. Doin’ work basically. More wordplay. More wonder and awe. Jay-Z just got trumped because this is even a more street-level, keepin’ it real message. 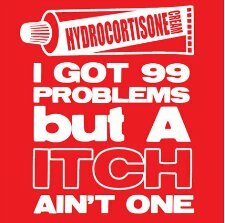 Everybody gets itches sometimes. 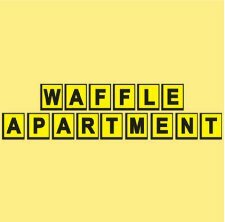 No further elaboration needed, except the House is for when you’re on a working class bender, and the Waffle Apartment is where you go when you’ve been drinking Mad Dog 20/20, Night Train, or Thunderbird. In conclusion, what I’m saying is…get on over to Tusday Tees, any day of the week, and score yourself some funny threads. I love Tuesday Tees. So glad that my boi Kirk finally got it off the ground. 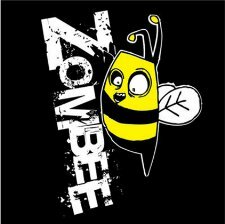 I personally own a shirt from them and will get more.. even bought the Zombee one for my friends. I encourage EVERYONE to go to the website and order their shirt(s) today. These guyes have great shirts. They shipped my shirt fast. Go and buy a shirt and you will like their service. My son loves the new Tee from Tuesday Tees he got for his birthday this week. He was wearing it all day – comfortable and pretty awesome, in his opinion! Way to go, guys! Tuesday Tees rocks~so do you for writing such an awesome article. Love my Tuesday Tee! 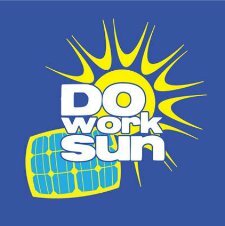 I have the ‘Do Work Sun’ shirt, and it is so comfortable! Love the play on words as well. Very creative! Great article on a great company that I hope keeps growing! Im loving what this company is churning out! I also am a big fan of the way they make sure everything is 100% USA produced! I find myself looking forward to the new releases every tuesday. Good article. Only a true patron of the art of humor can divulge such mind-blowing wordplays… I love this company, and I love my tuesdayTEE! Tuesday Tees is an awesome t shirt business that I wish I was a part of! Not only are there shirts super comfortable but they’re hilarious as well! I highly recommend EVERYONE buy a shirt or two or three because they really are awesome! Good job Kirk and everyone else associated with Tuesday Tees! Keep up the good work! A great article about a great tee shirt company. I find myself looking forward to every Tuesday evening for the newest hilarious shirt. Keep up the good work boys! I’m so tired of seeing shirts out there that are cliche, and mainstream. Tuesday Tees are awesome because they are accessible but new to the scene. There has not been a shirt that I have not liked so far. All of them are clever, unique, and best of all, made in the USA. What’s not to LOVE?? Gonna be ordering at least one this weekend.